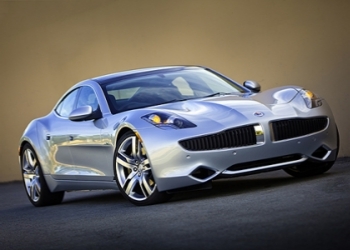 Justin Bieber Pulled Over for Speeding During Paparazzi Chase In His Electric Karma Fisker - Justin Bieber was pulled over and ticketed for speeding in Los Angeles on Friday.The Biebs was stopped in his chrome Fisker Karma after allegedly being chased by paparazzi down the 101 Freeway. At least one eyewitness — L.A. City Councilman Dennis Zine — claims Bieber was driving faster than 100 miles per hour and weaving dangerously through traffic, according to TMZ. Bieber’s camp claims he was cited for going 80 miles per hour, and that the relentless paparazzi photographers started pursuing him again immediately after the traffic stop.